Special thanks to Senator Espero, State House Representative Matt LoPresti, Councilmember Ron Menor, and Gentry Homes for their generous donations and numerous contributions. And to previous Guest Speakers: Ryan Kawamoto, Gerard Elmore, Brad Watanabe, and Eun Ho Lee. Thank you to former Principal Edward Oshiro, Principal Kim Sanders, Honored Community Partners, Daniel Ihara, EMMS Volunteer Staff, Leeward Media Network Teachers, JCHS ROTC, and participating students filmmaker and their families for their contributions to support this community-focused event. The Campbell x Kapolei Student Film Festival is an annual film festival celebrating the video production achievements of the students, schools and communities within the Campbell and Kapolei School Districts. 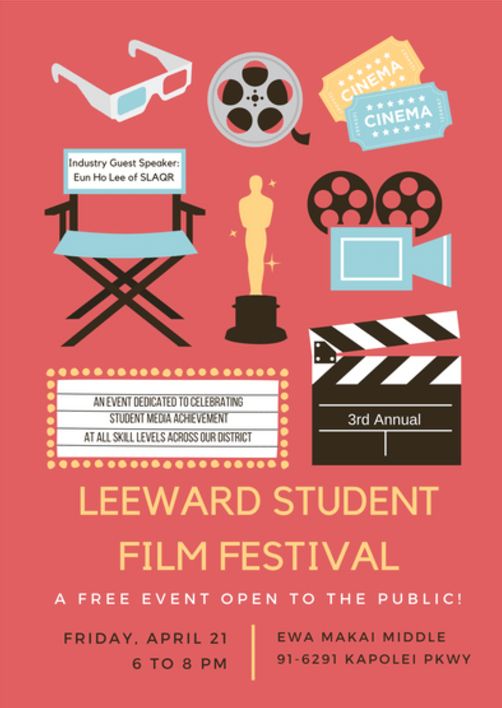 The film festival is a non-competitive showcase encouraging personal and school pride, support for our up-and-coming talented students, and encourages the fostering of community relationships. For more information please contact: ethan.toyota@ewamakai.org or check out this page and our social media links. 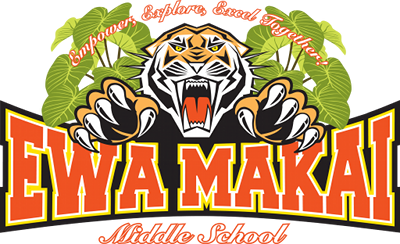 2017 Leeward Student Film Festival from Ewa Makai Media on Vimeo.